I have long been conscious of words, labels and how language can shape our reality. Initially my experience of labels was a personal one. Not just because of my sexuality, but indeed loads of experiences throughout my life have taught me the power and limitation of words. After some harrowing times, at fifteen I embarked on a quest to reconstruct my world by being careful of how I spoke of myself and what I was prepared to accept from others. I had previously heard teachers and peers at school describe me in ways that I simply accepted and adopted as truth. More insidious were the words I used internally; flowing without filter or question. I was creating my world and reality in every thought. Later in my twenties I became a teacher and heard this language from the other side. I heard teachers refer to students as bad students, good students, ADHD students, no-hopers, distracted students and more. These words were used so unconsciously and I doubt the users had awareness of their power in shaping the young people they were supposed to be serving. This understanding of the power of language is not revelatory. The positive psychology and personal development movements have helped open the world up to understanding how language can shape reality for individuals. While our systems and cultures still perpetuate some of these habits and misuses, I witness greater consciousness amongst teachers and youth workers now. One field that this has not been as developed or mainstreamed is community development. In my working with communities and non-profit organisations, I continually hear leaders, CEO’s, organisations, politicians and social workers refer to communities as ‘disadvantaged’, ‘deprived’, ‘poor’, ‘developing’ and more. There are endless labels that are used to diagnose, describe and distinguish communities. None of these, or indeed any label is truth in itself. It may provide one way of looking at the total story, but it is not the total story. 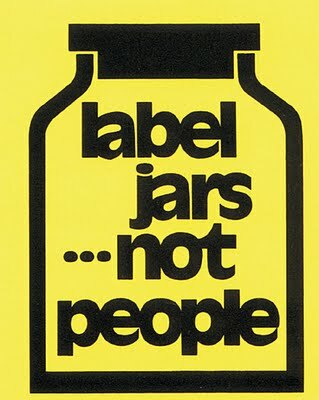 The diagnosis of communities via labeling is so prolific, incredibly unconscious, and its impact is profoundly destructive. There is a problem in defining problems. As soon as you give a label to it, that label and its descriptions actually become the problem. By giving collective attention to something, you invariably create that as a problem. Diagnosis limits thinking, not open it up. It narrows focus on just that one way of seeing something. Last week I was fortunate to do some work in a community in Tasmania. This community has been described by the Government as a highly disadvantaged community. This label was not uninformed of course, just poorly informed and constructed. The label was derived from statistical data that shows the prevalence of unemployment and education outcomes. It is a giant leap to see data like this, and create that language to talk about it. My experience of this community is that it is full of wonderfully creative and highly intelligent leaders. Yes, the community may have challenges in certain parts, but we need to be conscious of how the language we use might fuel or escalate those challenges. Does this mean that we stop talking or using language? In my own life there was a moment when I came to use labels consciously and powerfully. I struggled for a long time with calling myself gay, and not because of my identity or how I experienced myself. I struggled because I didn’t want to be defined by the word ‘gay’. I saw myself as something more than this. I have now come to be able to powerfully use the ‘gay’ word in my life. For me labels are powerful when used to help describe, and incredibly dangerous when used to define someone or something. There are two other important aspects to my use of the word ‘gay’. Firstly, I use it in a positive context to describe an aspect of myself that I love. Often the word gay is used in derogatory and negative ways to describe not just people but experiences, objects and more. Secondly, I am conscious when I use the word to describe myself; I am giving meaning to my own life and identity. I am not ascribing a label to others to talk about them. When we use words to diagnose others, we are violating the spiritual laws of freedom. Who am I to give or limit the meaning or identity of another. The last thing to say about labeling communities or collectives is that they comprise such diversity. To apply simple descriptions to communities, we deny and ignore the magical multiplicity of experiences that live within them. Even individuals are dynamic – changing and growing with life experience. We can label food (as the image at top suggests) because they comprise consistently the same ingredients that should have little variance. Individuals and communities do have elements of variance, and that’s what makes them magnificent. If you are a community leader or worker, entrepreneur, business person or whatever, your opportunity here is to become more conscious of the language that you use and accept. Be wary of jumping to simple, quick and accepted diagnoses of problems, especially with labels. As soon as you apply a label to something, it will constrain your thinking. Liberate yourself and your communities by staying in empathy, following creativity, and avoiding the limitation of jumping to labels and diagnosis. The origin of the image above is unknown. If you would like attribution, please contact me. Thank you for this post and allowing me to think about how to more clearly articulate my thoughts and side of this often complicated topic. Hi Hanna, thanks so much for sharing this. While I am much less aware of how this plays out in your context, my sense is that this is a big and important area in that field. Even the language of ‘development’ is problematic in itself. Have you found particularly useful or effective ways to approach this internally? or particular language that works?